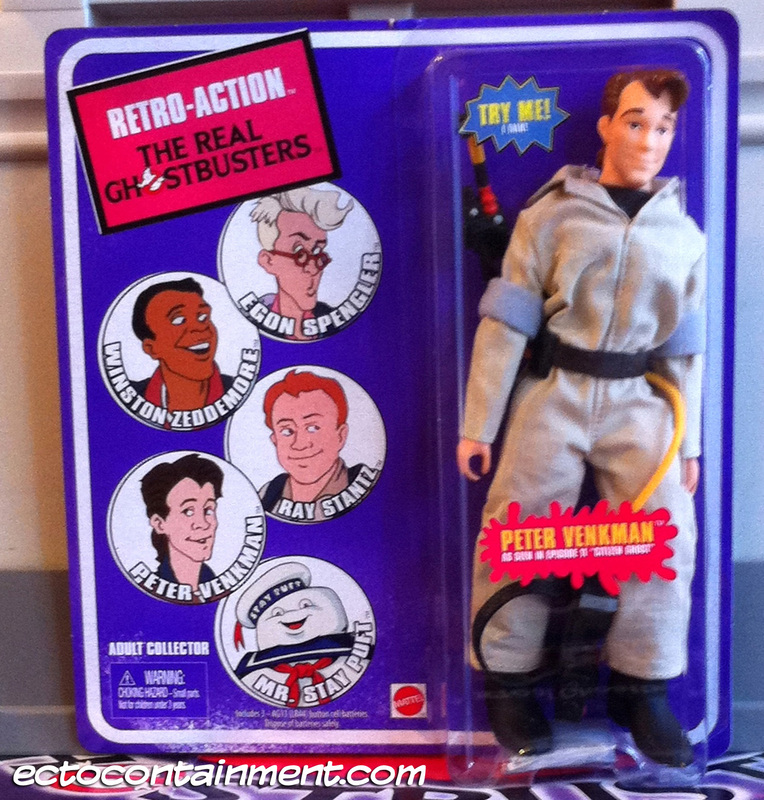 For some semi good reason Mattel decided to make a slightly different Retro-Action figure, a Peter Venkman from the first season episode Citizen Ghost. Citizen Ghost is a cartoon sequel episode to the Ghostbusters movie. It’s also an unofficial pilot of sorts to how a Ghostbusters cartoon became known as The Real Ghostbusters. A flashback shows The Real Ghostbusters coming back to a badly damaged firehouse wearing their Ghostbusters uniforms with marshmallow “stains” still on them. Fortunately before the guys went off to fight Gozer the new colorful uniforms had arrived.